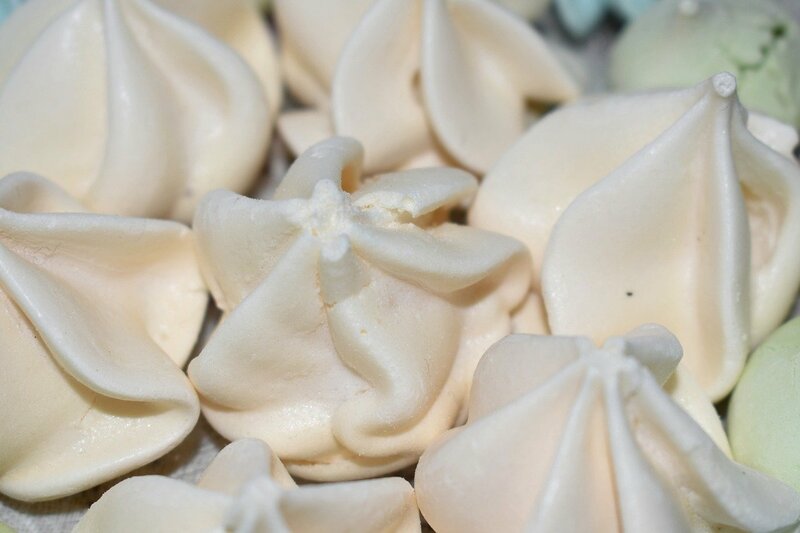 This stevia-sweetened, sugar-free meringue is just right for topping fruit bars and granola. Make cookies out of it for those times when you feel like you need a bit of a sweet treat. 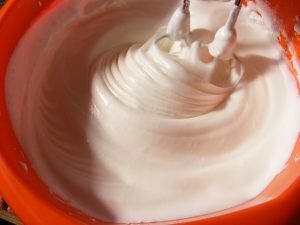 Beat egg whites to the point that they just begin to form soft peaks. Slowly add powdered stevia leaves while continuing to beat egg whites until stiff peaks form. Line two baking stones or cookie sheets with parchment paper. Spoon drops of beaten egg whites onto prepared stones or cookie sheets. Bake for about 2 hours or until cookies barely begin to brown. Turn off oven and leave cookies in warm oven to brown to desired color.